Add of touch of the tropics to all of your tropical paradise themed cards, layouts and altered art pieces with stately flamingos and eccentric parrots surrounded with fanciful tropical foliage! 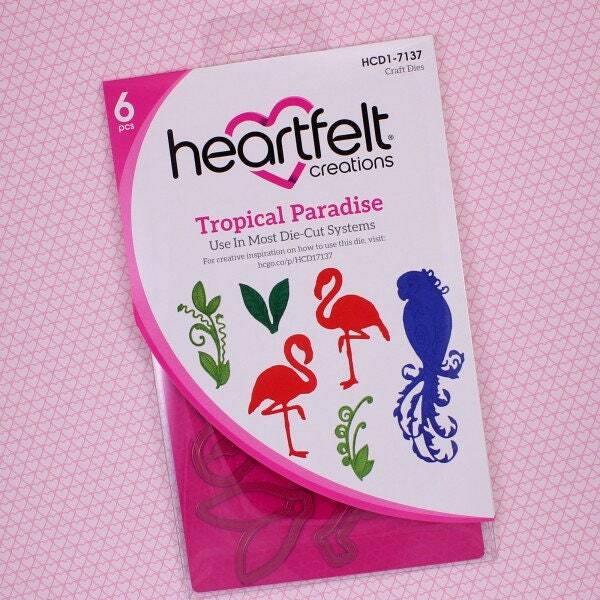 When paired with the coordinating cling stamps, these exotic birds of paradise and leafy vegetation die cuts will allow you to create stunning scenes and shaped dimensional embellishments ready to whisk friends and loved ones away on a tropical vacation when presented with your stunning one of a kind creations! 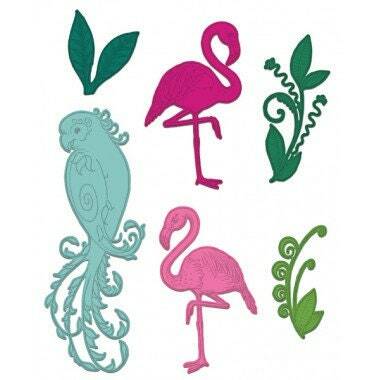 These dies are part of the Tropical Paradise Collection and pair with the Tropical Paradise Cling Stamp Set.